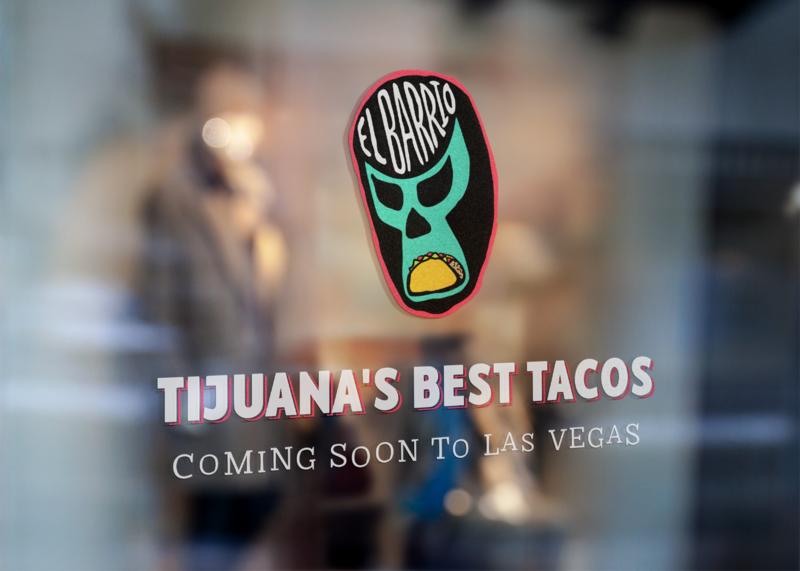 A burgeoning restaurateur approached Brand Knew with a concept for an establishment off the Vegas Strip that would serve authentic Mexican food in the front of house, while also providing a speakeasy experience in the back. Brand Knew coined this the mullet of Mexican culinary experiences — business in the front, party in the back. The restaurateur envisioned an establishment that was grungy but in a purposeful, almost ironic sort of way, with an identity and messaging to match. He described his vision for El Barrio’s aesthetic as “hipster sh*tty.” The task at hand for Brand Knew was defining what that aesthetic is. 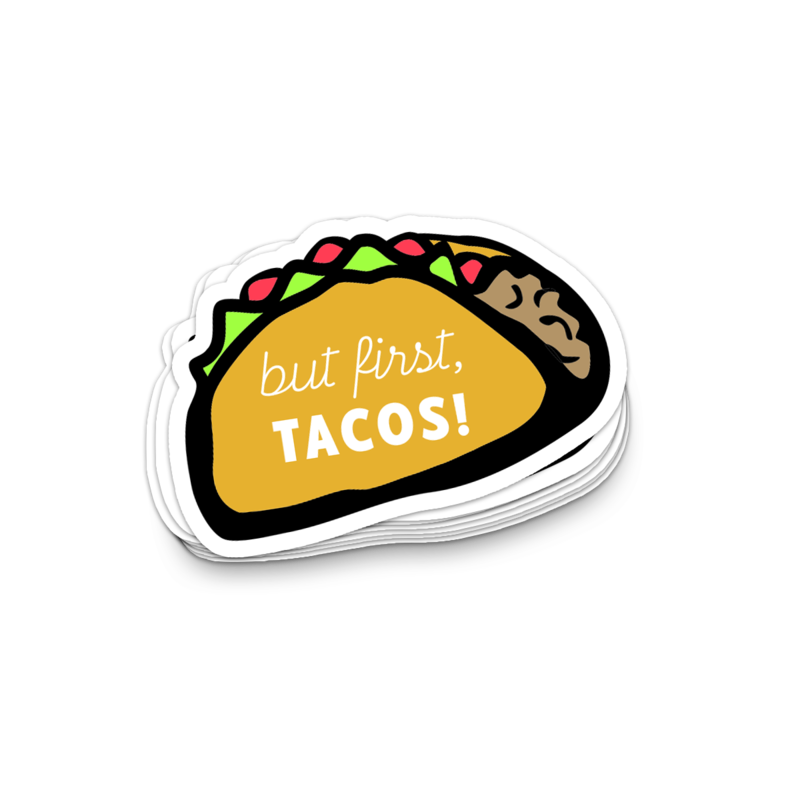 Brand Knew opted to create a roughly drawn visual system, complete with brightly colored, quasi-cliché iconography, including a dead Madonna holding a taco and a Luchador mask with a taco for a mouth. The brand identities, which can be used interchangeably, give voice to a counter-cultural vibe. Breathing Life into the Dead Madonna. Once a clear brand aesthetic and identity system were established and decided upon, the next phase of the engagement was to cohesively apply the graphic elements to various branded collateral, from hats and t-shirts, to paper and plastic ware to window decals and neon signs. 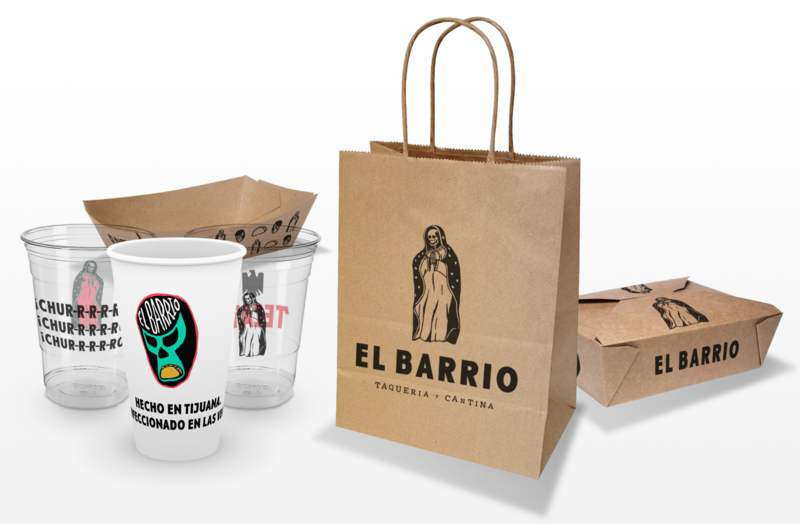 Brand Knew worked with El Barrio to practically apply its newly crafted visual system and the results brought the brand to life and succeeded in conveying the idea that El Barrio was a concept that was made in Tijuana but perfected in Las Vegas. A social media plan in tow, Brand Knew developed a compelling narrative online that reflected the binary nature of the brick-and-mortar experience. 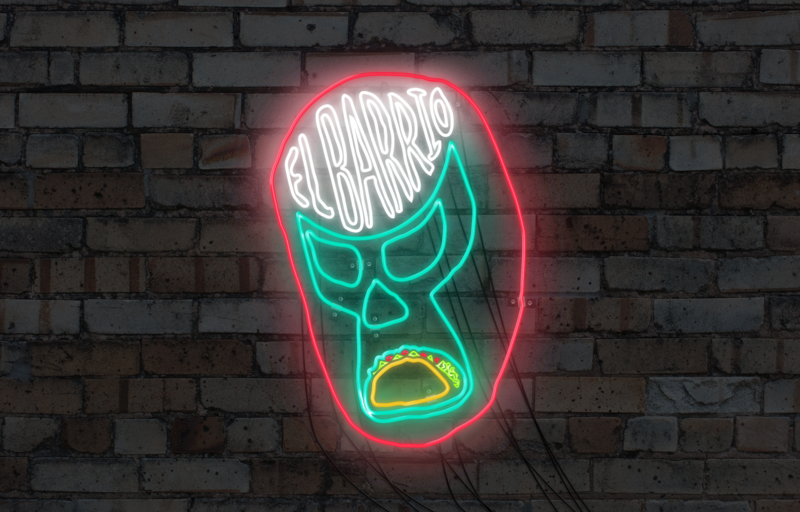 Sinners beware, El Barrio is not the place to go if you’re looking to repent.